Louis has enriched Stellenbosch's cultural scene by arranging writers' presentations of their work. 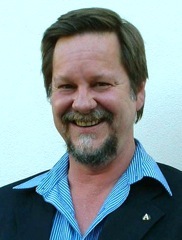 Louis Esterhuizen was born on 30 August 1955, in Welkom (Free State). He matriculated from High School Hentie Cilliers (Virginia) in 1973 and studied at the University of the Orange Free State from 1974 to 1978 (BA and HDE). He furthered his studies through UNISA (BA Hons in 1983). Meander, De Salon, De gekooide roos and LitNet. Groot Verseboek 2000 (André Brink), Die Afrikaanse po ësie in 'n duisend en enkele gedigte (Gerrit Komrij) and Nuwe Verset (Dani ël Hugo, et al). Louis Esterhuizen is also a founder member of the popular Bekgevegte/ Poetry Slams and organizes readings by authors of books at Protea Bookshop. He was Head of Afrikaans at Rondebosch Boys High School and Head of Sport at Bridge House School. Louis is now Manager of Protea Bookshop in Stellenbosch. 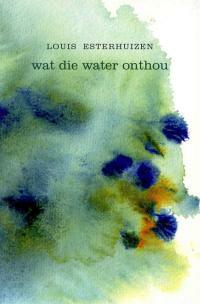 In 2009 he initiated, together with Marlise, Versindaba.co.za, the Afrikaans poetry website. Louis is married to the poet, Marlise Joubert and has two sons from a former marriage. Louis and Marlise live in Stellenbosch. in te kerf, met gras en bloed"